For precise blusher application use Sappho Blush Brush. 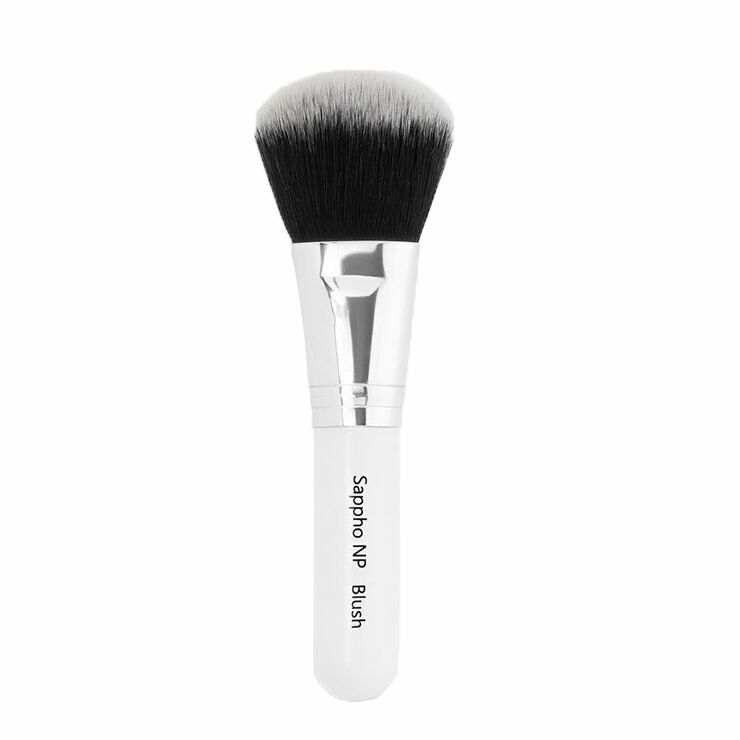 Perfect for applying powder and blush, this brush may also be used for foundation application. A rounded tip and flailed ends make for even coverage. Synthetic fibers and a bamboo handle are easy to clean. The compact size makes for convenient stowing in purse, gym bag, or beauty kit. Super soft, this blush brush delivers just the right amount every time. Gently swipe blush onto cheeks and bridge of nose. May be used to apply facial powder and liquid foundation for a fluid, air brushed look.